We will be uploading pictures for all these types and breeds soon!!! Please check back often to see pictures!!! 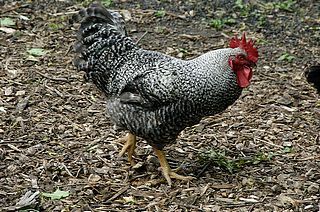 Also for more breeds and a more detailed look at many of the breeds listed here visit our poultry breeds page. Male Mature Weight: up to 9.5 lbs. Female Mature Weight: up to 7.5 lbs. These birds are a very good winter egg-laying chickens, they also do well in late spring. They are a golden buff color from feather base to tip and have intense yellow beaks and legs. 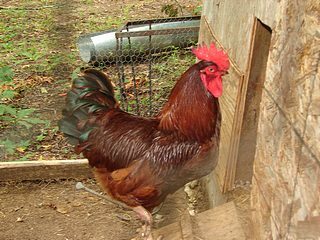 They have bright red combs and wattles. Very pretty birds. Fairly good-sized birds, though not quite as large as other varieties of rocks. They have a yellow skin and plumb body. They lay brown eggs. These birds can also pass for a nice eating fowl. This bird is one of the all time popular American birds. They are excellent egg-laying chickens. They lay brown eggs and are not discouraged by cold weather. They are black and white in color. These birds are excellent layers of brown eggs year round. They also make good roasters. Male Mature Weight: up to 8.5 lbs. 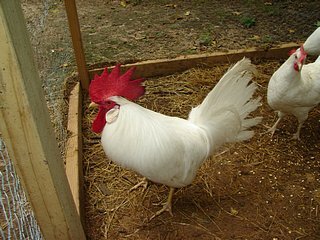 Rhode Island birds are one of the famous all time breeds of American chicken. They have developed a reputation of an outstanding dual purpose foul. They have outstanding egg production qualities and it has been said that no other heavy breed lays more eggs than this bird. New Hampshire birds lay large brown eggs. They were developed by poultry farmers who started with Rhode Island birds and breed them into the characteristics of early maturity, rapid full feathering, and the production of larger eggs. They are particularly handsome and vivacious. Egg Color: Tinted and varying. 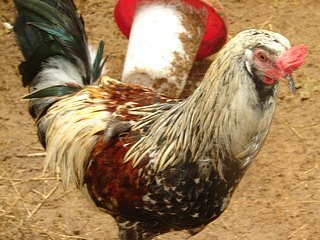 The Araucana is an unusual breed that comes from Chile. These beautiful chickens are known for their ability to lay colored eggs varying from turquoise to a deep olive color, much like Easter Eggs. The birds themselves exhibit a wonderful variety of colors and color patterns as well. Much like the South Carolina variety, but with rose combs instead of single. They are less likely to suffer frost bite in cold weather. They make a good free range bird as they are very independent and take care of themselves very well. They are generally recognized as as one of the most colorful varieties of Leghorns. They are good egg-laying chickens and setters with large combs. The males are particularly handsome with an orange hackle and saddle and black stripes that run the center of each feather. Red: This is a rare and unusual variety of the Leghorn. They have a deep red plumage color, sweeping tail, white ear lobes, and yellow shanks and toes. The hens lay a tinted white egg. raising chickens, these may be the best white egg-laying chickens around. They have white plumage with a red comb and beard. They have a very good livability and are very resistant to disease. This beauty can really lay a good standard consistent quality egg. These are very pretty birds and good layers. 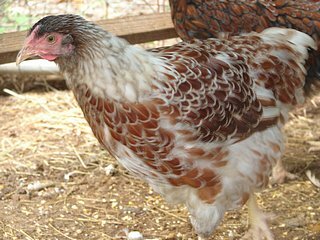 There are quite a few varieties of Wyandottes including White, Columbian, and Silver Laced. There are other more unusual breeds like the Blue-Laced Red shown here. They are all a wonderful dual purpose foul. Female Mature Weight: up to 5.5 lbs. These beautiful blue birds originated in the province of Spain by the same name. The Andalusians are beautiful birds to look at and an especially good breed for exhibition, but they also are egg-laying chickens.